Mexican carrier Aeromar has placed a firm order for six ATR 72-600 and two ATR 42-600 turboprop regional airliners. The contract signed by Mexico City-based Aeromar also includes options for six additional ATR 72-600s. 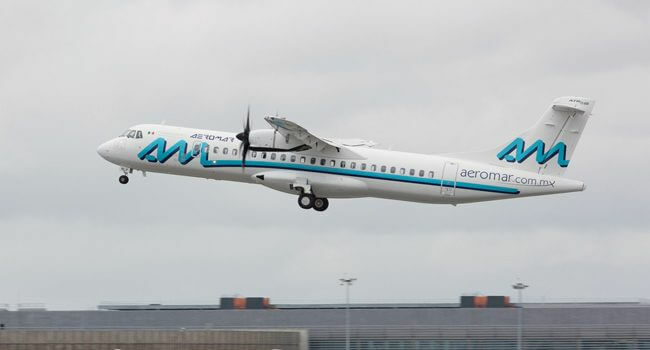 Aeromar will configure its ATR 42-600s with 48 passenger seats and its ATR 72-600s with 72 seats. The airline’s new ATR turboprops will progressively replace and upgrade its current fleet, which today includes nine ATR 42-500s, four ATR 42-300s and two ATR 72-600s. 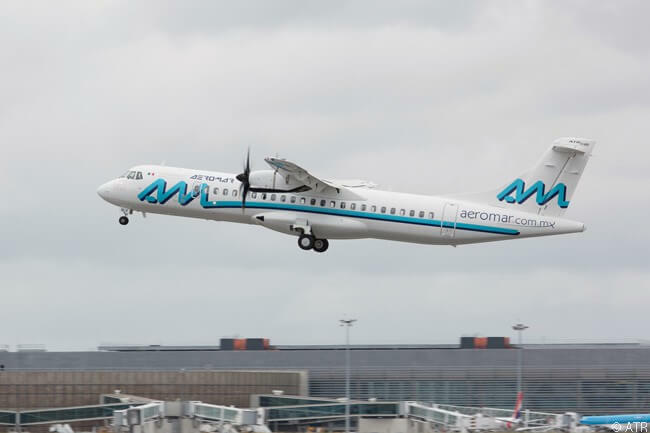 According to ATR, its newly ordered aircraft will also enable Aeromar to add passenger capacity to boost a number of its largest routes and create new connections to its regional network throughout Mexico. The carrier will receive the first of its newly ordered ATR 600-series turboprop regional airliners in December. Aeromar has been operating ATR aircraft for almost 30 years, since it was founded in 1987. Today, some 160 ATR aircraft fly in Latin America and the Caribbean, in the liveries of 30 airlines. The number of ATR turboprops operating in the region has doubled over the past decade. Established in January 1987 as Transportes Aeromar, the carrier operates scheduled direct services today to Mexican domestic destinations and international services to the U.S.
Aeromar is based at Mexico City’s Benito Juárez International Airport and operates to more than 22 destinations. It is the second-largest regional airline in Mexico in terms of daily flights, after Aeromexico Connect, according to ATR. For more information on Aeromar, visit its website at www.aeromar.com.mx.